You can be seated inside where the usual mock stage stands or relax with the cozy, breezy wind outside if the weather permits. The resident stand up performers usually bring their microphones outside to strut their stuff. 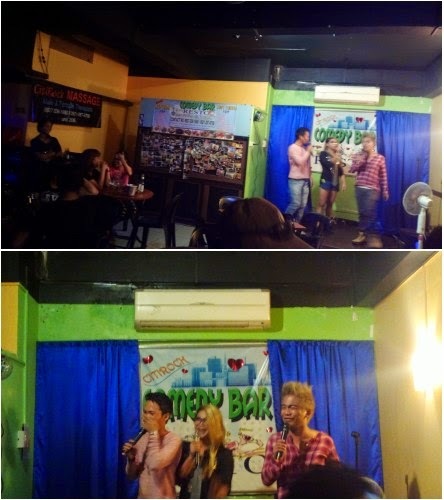 Citirock Comedy Bar is located at the ground floor of T&S building, Mc Arthur highway, Urdaneta City.